PROVEN HERE. THE KOOTENAYS x SB6C. Elk Mountains. I'm Part of the Tribe. This video really encapsulates why I love to bike. It enables me to explore the most beautiful places on earth from the saddle of my bike. Now I am adding add Iceland to my wishlist. WOW ! one word to sum up how i feel. Video has no crazy jumps, just awesome riding and beautiful scenery. Great cinematography!! At 4:16-4:19 the reflection of clouds on water almost makes it appear as if one is above the clouds. 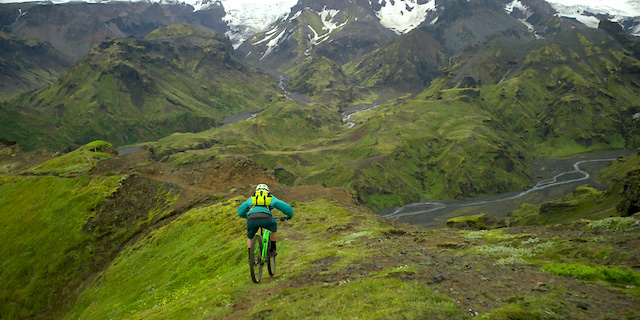 Iceland is the most amazing place I have ever been, maybe next time I'll be able to ride there! knew i'd heard it somewhere else! one of the most beautiful video i ever seen....5 stars from me !!! awesome video!!! the countryside is INSANE!!!! Epic! I've always wanted to go to Iceland and I've always wanted a yeti! If that doesn't persuade me to take the plunge nothing will! is there even 1 tree in Iceland? he is bringing the ring to mordor! I've got to get back there. This video makes me miss it so much! So much VODness going on here.... make it happen! Awesome work! Had to come back and watch it again. A good one. That was very nice to look at. It's an island in the northern part of the Atlantic. About mid way between North America and Europe.